Full-length unisex pants for adults (for men and women). Hemmed leg cuffs. Welt pockets. Solid colour. Available in a variety of colours. 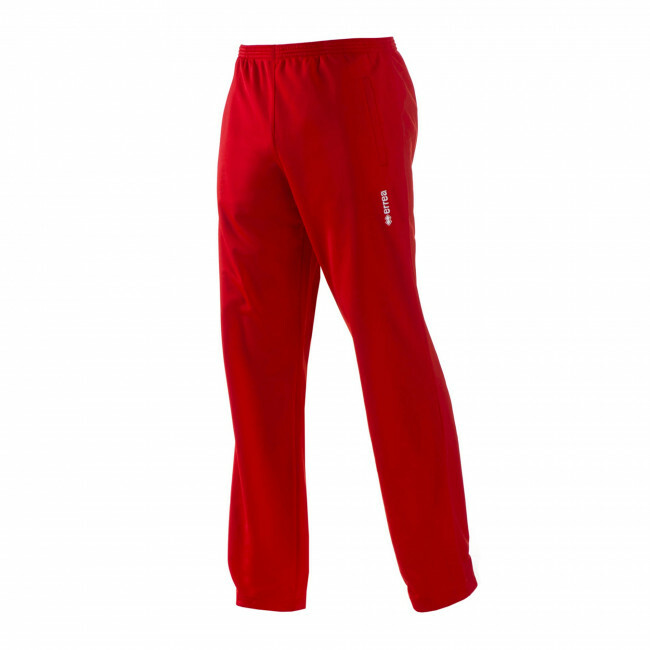 Dresden by Erreà are the perfect pants for sport activities and for your free time, suitable for both men and women. Their design is that of classic tracksuits, with shiny-fabric, comfortable and perfect fit to follow all your movements and shots on and off the pitch. These pants are perfect to wear during your free time or at home, whenever you want to relax. To further improve these pants, we have added an adjustable string to the elasticated waistband and welt pockets so that you may carry your most valuable belongings with you.